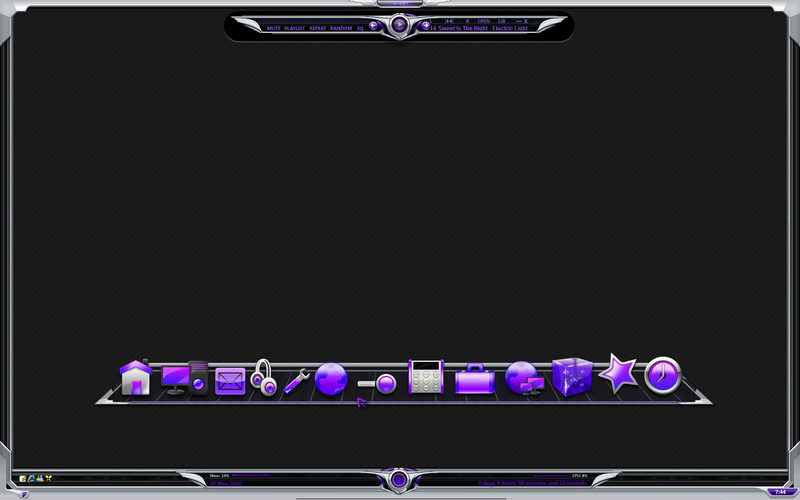 Made to match my R001 DX theme, which you will find in my gallery. Flies out from the edge of the screen when you bump it with your mouse, then returns automatically after you have clicked an icon or moved your mouse away. Hi Boxxi,,,,,,,I like this alot !! it is so nice looking,,,,,,how can I set it to stay on my desktop instead of scrolling out of sight ? thank you ! !